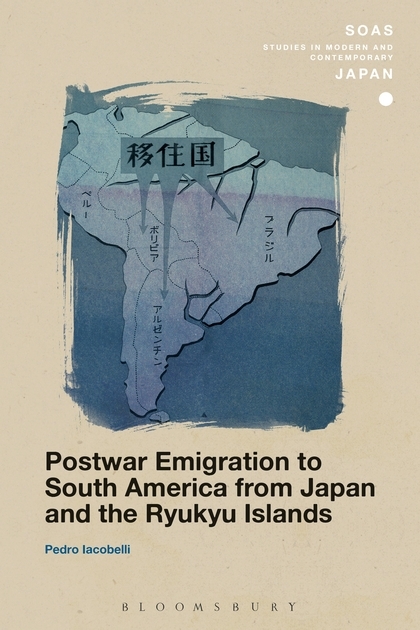 Book Announcement: Postwar Emigration to South America from Japan and the Ryukyu Islands | What can I do with a B.A. in Japanese Studies? Placing a distinct focus on the role of the sending state, this book examines the history of postwar Japan’s migration policy, linking it to the larger question of statehood and nation-building in the postwar era. Pedro Iacobelli delves into the role of states in shaping migration flows by exploring the genesis of the state-led emigration from Japan and the US-administered Ryukyu Islands to South America in the mid-20th century. The study proposes an alternative political perspective on migration history to analyze the rationale and mechanisms behind the establishment of migration programs by the sending state. To develop this perspective, the book examines the state’s emigration policies, their determinants and their execution for the Japanese and Okinawan migration programs to Bolivia in the 1950s. It argues that the post-war migration policies that established those migration flows were a result of the political cost-benefit calculations, rather than only economic factors, of the three governments involved. With its unique focus on the role of the sending state and the relationship between Japan, Okinawa and the United States, this is a valuable study for students and scholars of postwar Japan and migration history. This entry was posted in announcements, culture and tagged book announcement, books, Japan, migration, migration history, modern, modern history, modern Japan, postwar, Ryukyu Islands, South America. Bookmark the permalink.